I watched “Transformers: Revenge of the Fallen” this weekend, and one thing really struck me as I took in the initial (and totally gratuitous) shot of Megan Fox in cutoff jean shorts half-straddling a motorcycle: Wow, she’s hot. Throughout the course of the next 150 minutes – really, did a “Transformers” sequel need to be that long? – I found myself observing Ms. Fox’s work wondering if she had what it takes to transform – pun intended – from starlet to star. By most standards, she’s already a movie star. She has played a lead in two “Transformers” installments, had a supporting role (as a vacant actress, no less) in the Simon Peg comedy “How to Lose Friends & Alienate People” and she recently starred as the title character in the horror flick “Jennifer’s Body.” Moreover, she seems to have a stranglehold on the current #1 ranking as the Hollywood Girl That Guys Want to Bang. But does this really make her a star? Not in my book. There was no point in the latest “Transformers” installment where Fox couldn’t have been replaced by Elisha Cuthbert, Jessica Biel or some other former (or future) #1 Hollywood Girl That Guys Want to Bang. When I started to type this up, I actually blanked on her name, and had to look it up on IMDB.com. (Ah, yes, Megan Fox.) If nothing else, that makes her a starlet. Every year or two, there’s a new crop of young’ns vying for the title of “it” girl, and Fox owns it, for now. But it’s a dicey transition from being a hot young thing to developing a long-lasting, viable career in the movie business. So, does she have what it takes to become a star? 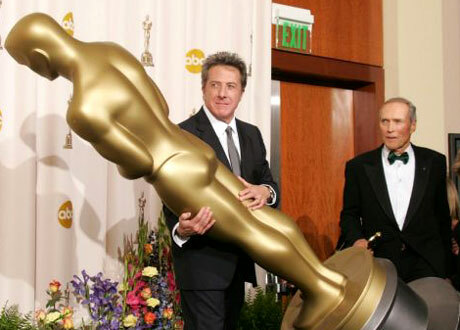 Who knew that the key to an Oscar would be found on the set of “Extras”? So should Kate Winslet thank Ricky Gervais for giving her the secret to winning an Academy Award? Richard Roeper nailed all the major categories and was 21 for 24 in his predictions. He sums up the night in his latest blog. 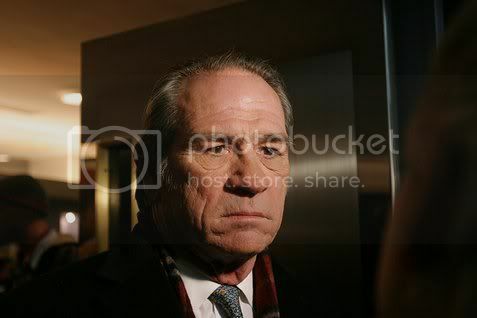 Who knows if Mickey Rourke’s offscreen antics cost him the Best Actor trophy. More likely, Academy voters felt Sean Penn’s performance in “Milk” was more likely to resonate through the ages. Both actors played charming, doomed characters, but Harvey Milk was a real-life crusader, whereas the wrestler Randy “The Ram” Robinson was a fictional creation. We felt empathy for Rourke’s character, despite his self-destructive and self-loathing ways—but we felt inspired by Penn’s Harvey Milk. The roles themselves might have given Penn the edge. I love Kate Winslet but I didn’t love “The Reader.” She was fine in a supporting role, but she was unforgettable in her much larger role in “Revolutionary Road.” Heath Ledger’s performance was Oscar-worthy. The tragedy of his death was reflected in the faces of all those talented actors who worked with him or knew him or simply appreciated his gifts. Penelope Cruz had a showcase role in “Vicky Cristina Barcelona” and she hit it out of the park. Like Dianne Weist and Mira Sorvino, she is also the beneficiary of a Woody Allen screenplay. “Slumdog Millionaire” was the best movie of 2008 and one of the best 100 films I’ve ever seen. I’m thrilled for the film, the cast and of course for Best Director winner Danny Boyle. As for the show: Hugh Jackman did a fine job in a couple of lavish and slightly wacky production numbers, and then he seemed to disappear in the second half, as is usually the case with hosts. I can’t imagine that he’d ever want to take on the job again. The ratings won’t be great, but the Oscars will still bring in more viewers than the Grammys and the Emmys combined. Until/unless they cut the ceremony to two hours and eliminate the broadcast of the “minor” categories, the numbers will continue to go down. When the viewers at home have never heard of the winner onstage, have never seen his film and have never heard of any of the people he’s thanking—that’s not timeless TV.